As you can see, last week’s show was made up from old-school ’70s classics and music that brought you right up to the present day…even tracks from forthcoming releases. All in all, it made for another musically varied evening. 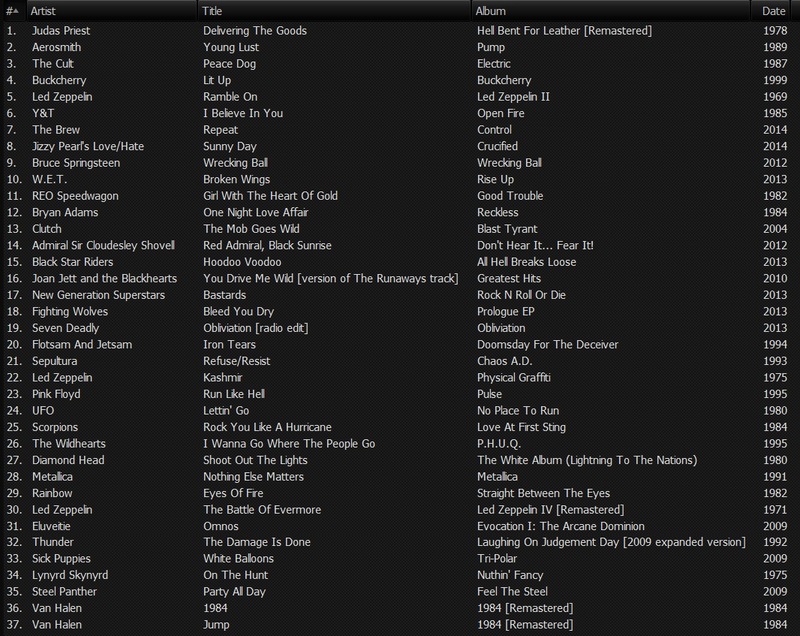 Tracks that I had originally planned to play but simply couldn’t squeeze in, will be played out on this week’s show. I’d like to thank you all again for listening in and contributing comments and your memories of gigs/albums etc from the bands we played. The three hours just flew by! As some of you are aware already, we have opened up this week’s ‘Request-line’. This will close at 10pm [GMT] on Tuesday 14th January. I’m liking what I’m seeing asked for already. You can add your request by either tweeting @classicrockshow or by visiting one of the Facebook links which you’ll find listed below.